BRIGGS 291408 POINTS SET, FITS MODELS A, B, H, K, Z & ZZ. This is a 291408 Briggs points set. It fits models A, B, H, K, Z & ZZ. All parts are new old st..
BRIGGS 29863 FUEL PICK UP TUBE. FITS MODELS Y, WM WMB, WMG, WMI & WI. This is a new O.E.M. Briggs in tank fuel pick up tube for models Y, WM, WMB, WMG, WMI & WI. 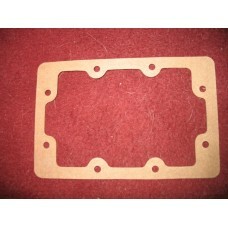 All..
BRIGGS 65687 MODEL Y, H, L and T PAN/SUMP GASKET REPRODUCTION. This is a reproduction 65687 pan/sump gasket for a Briggs models Y, H, L and T. All parts are new o..
BRIGGS 66057 MODEL M AND S PAN/SUMP REPRODUCTION GASKET. This is a reproduction 66057 Briggs pan/sump gasket for models M and S All parts are new old stock ..
BRIGGS 66987 MODEL A PAN/SUMP REPRODUCTION GASKET. 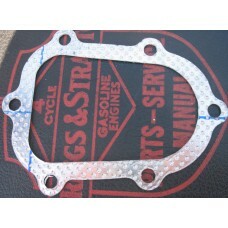 This is a reproduction Briggs model A pan/sump gasket. All parts are new old stock unless otherwise..
For sale is a Clinton 157-235/4975 recoil starter pawl/dog. All parts are new old stock unless othe..
For sale is a Clinton 157-248/41002 recoil starter pawl/dog. All parts are new old stock unless oth..